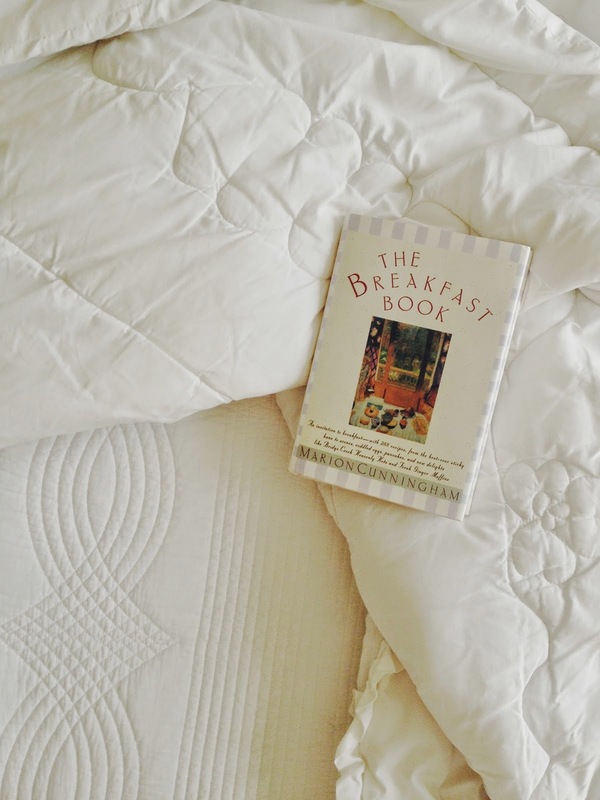 The Breakfast Book by Marion Cunningham for bedtime reading. Oh, the benevolence of one who genuinely cares how you butter your bread! And of course, her recipes are not just good for reading, but for eating. A few posts by favorite food blogs here, here, and here.